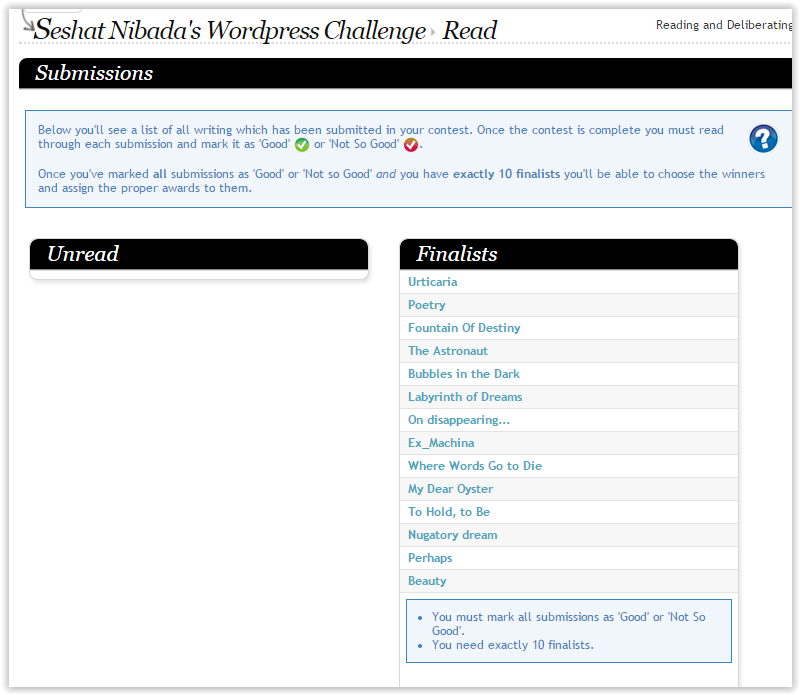 So tonight I decided to judge the first edition, March 1st, 2015. The turnout was not amazing, but 37 poets submitted a piece. 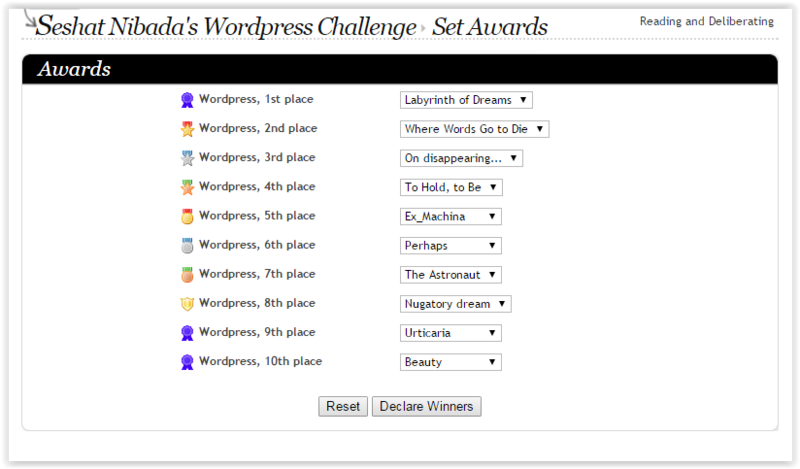 I had to recruit from the Writer’s Cafe community to make it competitive, though we had a few wordpress folk along with the 1st and 4th place finishers.